Many readers will be familiar with the Antipode Foundation’s Institute for the Geographies of Justice. Taking place every two years, the IGJ is a week-long opportunity for doctoral students, postdoctoral researchers, and recently appointed junior faculty – an intensive, interactive workshop including facilitated discussion groups and debates, training and skills-development modules, and plenary sessions lead by established scholars (for more see here). The last IGJ was in Athens GA, USA in 2011 and the next will take place in Durban, South Africa in 2013. 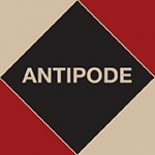 Antipode encourages participants to submit jointly-authored essays and has published two in recent years (one after the first IGJ and another after the second, available without subscription here and here). In different – but not unconnected – ways both interventions consider the history and present condition of radical geography, its future, and, perhaps most interestingly, its institutional conditions of possibility – what the authors of the second call ‘the challenge of being new academics in neoliberal universities’. Asking ‘what can we do?’, the SIGJ2 Writing Collective sketch-out a number of ways in which radical geographers might change their institutional environments and their relationships with one another*. These actions are here subject to some searching critique by Culum Canally, a lecturer in the Department of Geography at Wilfrid Laurier University. Culum’s response to the Collective contends that the horizon of the radical imagination has been somewhat narrowed in the current conjuncture, that feelings of precarity and insecurity in what is perceived to be an individualistic and relentlessly competitive academy deleteriously delimit thoughts about ‘what is to be done’. The Collective’s reply reasserts the importance of what could be seen as ‘timid’ actions, actions which disrupt the performance – or embodiment – of neoliberal values. Many thanks to Culum and to Kean Birch and the rest of the Collective. *See also our recent forum on the ‘Communifesto for Fuller Geographies: Towards Mutual Security‘. Thought I would share a call, in this spirit, for ‘zombie solidarity’ on campus. Please find below a CFT (Call for Tales) for the 2013 AAG from the University of Kentucky’s Critical Pedagogy Working Group. This non-traditional panel is motivated by a desire to provide space to think creatively, positively, and strategically about possibilities for radical pedagogy in the context of universities that increasingly challenge educators’ abilities to bring innovative critical approaches into geography classrooms. The idea is to share anecdotes of 500-1000 words about situations in which professors/instructors/teaching assistants implemented a radical pedagogical approach amid constraining institutional circumstances. We hope these anecdotes will serve as a springboard for fruitful discussion, to think collectively about the possibilities available to us and to share ideas about attempts to critically intervene via pedagogy from within the corporatized educational institution. Seeking submissions of 500-1000 word anecdotes about teaching, which speak to the possibilities for pedagogical subversion in the context of neoliberalized and corporatized educational institutions. These brief “tales from the neoliberal university” will ideally introduce common struggles and hint at moments of possibility within otherwise constrained contexts. This non-traditional panel* will feature a reading of these stories, followed by what we hope will be a rich discussion about ways to constructively and positively bring critical pedagogical approaches to fruition. We are interested in all stories of pedagogical success amid difficult institutional contexts, particularly situations that reflect engagement with pedagogy as contestation, struggle, and/or resistance. However, we are particularly hopeful that we will receive submissions from people who have brought radical perspectives into introductory classes, recitation sections, and/or courses with very large numbers of students. Submissions are welcome from people of all professional and educational levels, including, among other possibilities, TAs, instructors, and professors. This panel is facilitated by the Critical Pedagogy Working Group of the University of Kentucky, a group of graduate students collectively interested in radical educational possibilities. *This is listed as a panel discussion and not a paper session. AAG annual meeting participants may register for a panel discussion and a paper session. In addition, the informal nature of this panel will facilitate participation without necessarily submitting a PIN or being listed in the formal AAG program, in the event that someone would like to participate who is already listed as a panelist and presenting a paper. This entry was posted on 8 November 2012 by Antipode Editorial Office in Other and tagged academic activism, academic jobs, academic labour, academic value, critical pedagogy, early career academics, higher education, IGJ, insecurity, Institute for the Geographies of Justice, neoliberalisation, neoliberalism, precarity, teaching, the university.